Minnesota has seen tremendous growth in clean energy industries, with annual job growth at 2.6% double the overall state average, and over 59,000 employees according to the Clean Energy Trust. It’s time to modernize the grid, and our model for how we regulate it. 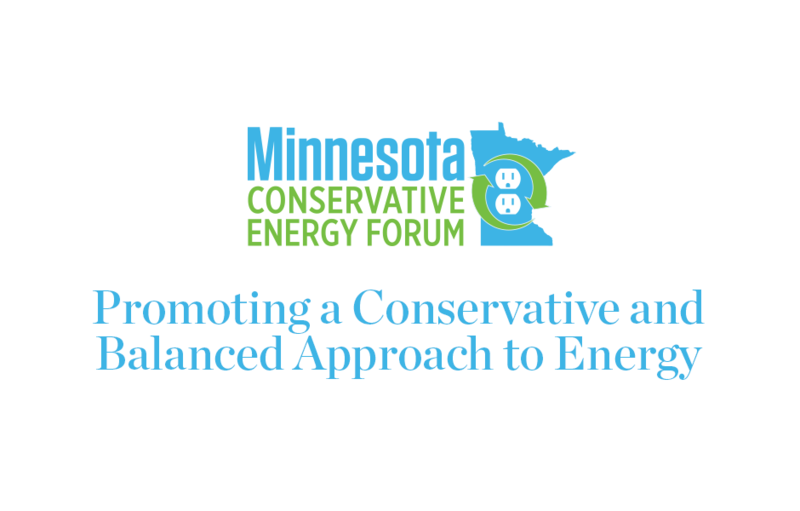 That’s what the Minnesota Conservative Energy Forum is all about: making sure that the voices of consumers-not just the politicians, activists, or the monopolies-are heard. We believe in market-based energy policies that will free consumers, create jobs, and modernize the electricity markets. New technologies have made it possible to take control over our own energy future. Advances in wind and solar have brought costs down and opened up new ways of not just generating electricity, but new methods of ownership. Individuals, neighborhoods, and coops can actually take—and make—the power. Wind, solar, and energy efficiency will all be part of that future. Just as fracking has increased our access to affordable oil and natural gas, helping free us from the OPEC monopoly, new sources of electrical generation can help free us from over-regulated, government-driven monopolies. That’s why we believe in an “all of the above” energy policy—it’s good for consumers, and good for national security. And if we do it right, we will leave our kids a cleaner, more competitive, and more secure America.